Utilize 7+ Mail Preview Modes to analyze DBX mail file. Maintains Folder Hierarchy of DBX Files. Option to Save the searched result. Recursive listing of DBX files. Exclude duplicate emails from DBX file. Apart from DBX Files to EML, the software migrate DBX files in more than seven file formats. The New Collection will created by giving information such as Title, Collection path. Hit click on scan file option at menu bar. Browse file from system and then click on Add. The tools loads and scan dbx file in few minutes. For preview click on view button. DBX to EML tool allows to preview data in 8+ modes. The DBX to EML converter tool provides advanced search option to perform search. To selectively export emails click on checkbox and right click on them to export. For bulk conversion, use export option given in menu bar. Select EML file from default file format given there. Use features available there to enhance conversion of dbx to eml process. Click on OK to start process. I have been working in the company which deals in event management work of large MNC's. My company has been using the outdated email clients which periodically shows error and we are unable to access it until the system is restarted again. We are deciding to migrate to other email clients with a huge amount of data about 30GB in a limited span of time so that we can continue with our work. What is the estimated time to convert 10Gb of data? Is the Software feasible with the corrupted file also? What is the security measures to maintains the data integrity and confidentiality? Is the attachment also converted with the DBX file? Is there any file size limitation exists? Working with outdated email clients is such a risky task. Every time there is the possibility of error while you performing some important work. The better option is to switch to other email clients which provide the robust features and updates as well. You can migrate your EML files to any other email client. 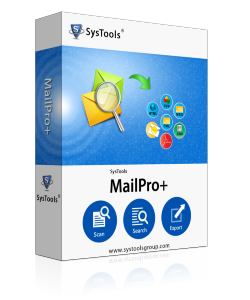 There are many email clients which support the EML file format such as Windows Live Mail, Thunderbird, Apple mail and much more in the list. Before migration, you have to convert DBX files to EML. One of such tool is Free Download DBX to EML converter which deliberately performs it task with great ease. Can I open the converted EML files with any email client?? Yes, you can open the EML file in any email client which supports EML files such as Windows Live Mail, Thunderbird and much more. Is the Outlook Express needed to change the DBX files to EML? No,There is no need of MS Outlook Express when converting the DBX file to EML files. Is DBX file of about 15 GB is supported by the Software or not? Yes, definitely your 15 GB DBX file get converted to EML without any distraction. The Free Outlook Express DBX to EML converter software is tested with 1 TB DBX file size. I have converted my 25 GB of Outlook Express file to EML quickly. It is so easy to use this DBX to EML Tool which itself did the complete work without needed much attention and care. "Happy to use such a great tool". Quite amazed when I import DBX files to EML with the help of DBX file to EML Tool. It deliberately convert my Outlook Express file to EML . There is substantial growth in the corruption issue of DBX files after the development puts down by the Microsoft Inc. The user which works on Outlook Express when opens or restart the OE, the application error has occurred. The error is mostly due to the corruption of DBX files. The normal user is not able to access is important emails and calendar events. Therefore the requirement of DBX File to EML conversion which provides the diligent features to recover the corrupt DBX file.